Robbery at Illiff and Quebec. 7429 E. Iliff Avenue Unincorporated Arapahoe County Wednesday, 11/07/12, 12:07 A.M. Business was entered by suspect throwing a rock through the front window. Suspect stole three dogs from inside the business by placing them in a large bag. STOLEN - Yorkshire Terrier and two Boston Terrier/Pug mixes. Dogs are micro-chipped. Per Arapahoe County. The Office of Emergency Management will conduct a test of the audible Outdoor Warning System at 11 a.m. on Tuesday, Nov. 20. The test ensures that the warning system is ready when needed and that the public is aware of the operation of the siren. A three minute “wail” tone will be heard over the siren system and will continue as the outdoor siren rotates the speakers in all four directions to adequately cover the surrounding areas. At the completion of the test, a 30 second “whoop” tone from the sirens will be heard. There will be no voice heard during this test. Please do not call the 9-1-1 emergency number for information about the sirens. 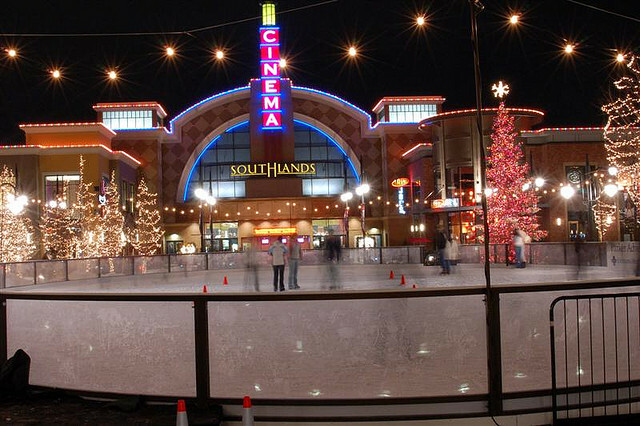 Ice Skating at Southlands Opens November 16th. Ice Skating on The Pond opens Nov 16th! A highlight of the winter is the Southlands skating rink. And not sure if this is updated as well from the about us. Price: $8/Session (no skate rental); $10/session (includes skate rental) Group Rates: 10+ $7 includes skates Corporate / Private Parties: 2 hr rental...$500... includes admission and rental up to 75 people... anything over 75 would be $5..
Centennial Center Park is winner of the Colorado Lottery’s Starburst Award! At a recent City Council meeting, Centennial Center Park was awarded with the 2012 Colorado Lottery’s Starburst Community Award. This award recognizes excellence in projects that enhance a community’s environment. Denver Zoo Elephant Smashes a Pumpkin!